Serhiy Ryabokin, the worker of Ukraine's Social Policy Ministry, revealed his views in terms of gender equality and actual military service for women; the views, which the government and the parliament found disturbing and outraging. Iryna Gerashchenko, the first vice speaker of the Ukrainian Parliament said this during the question hour on Friday. 'On the behalf of our inter-faction parliamentary union, I demand an internal investigation against the employee of the Social Policy Ministry, who is the deputy director of the Labour Conditions and Payment Department. Mr. Ryabokin sits in his chair, assuming that certain physiological peculiarities of females prevent them from serving as snipers', Gerashchenko said. She added that the parliamentary union 'Equal Opportunities' stands for increasing a woman's role in the Ukrainian Army. 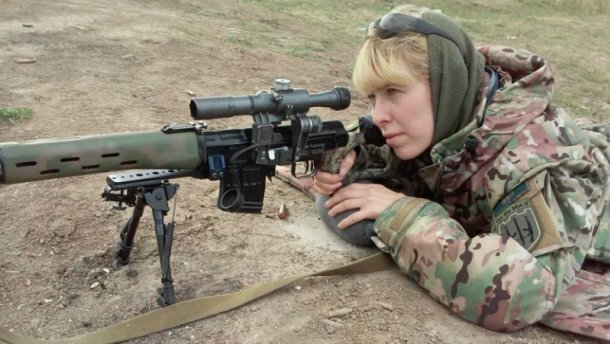 'Among 25,000 Ukrainian servicewomen, there are female snipers who proved they are even more efficient than some men,' Geraschenko said. Social Policy Minister Andriy Reva begged for the union's pardon on the behalf of his authority. 'This does not reflect the views of separate officials or the whole Ministry in this regard. We recently made out position public, and it's official when it comes to equal opportunities for men and women', Reva said.